Hey everyone! 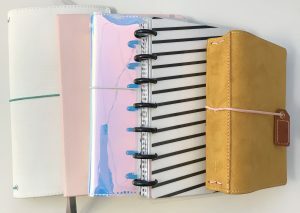 Roree here with today’s Inspiration Station post and I have some fun products to share with you from The Wandering Planners. I recently attended the “Meet the Maker” Event presented by the Wandering Planners at our show in Ontario, CA on November 2nd and 3rd. 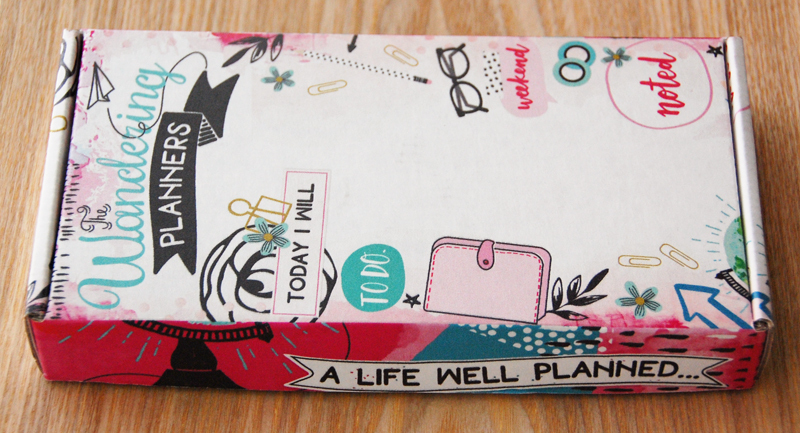 If you love all things planner-related, you would have loved this event. 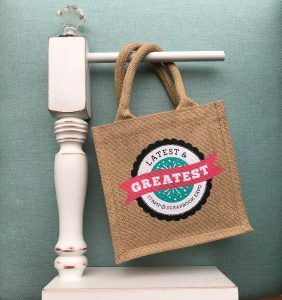 There were entertaining speakers, awesome projects, lots of shopping, and lots of great swag, just to highlight a few of the fun aspects that made up this great event. The box was almost a present in itself. So fun and festive! 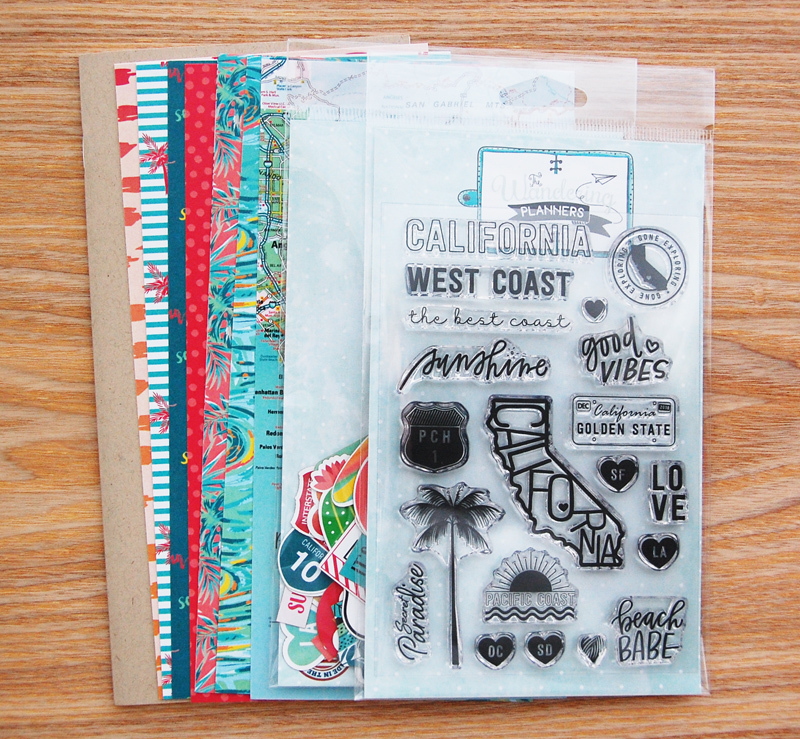 It contained a Traveler’s Notebook, California Traveler’s Notebook Paper pack, California Love Ephemera pack, and the California Love 4×6 Stamp Set. I decorated the left side of the layout with the papers and ephemera. The gorgeous wave paper is my favorite! I just love the colors and patterns. 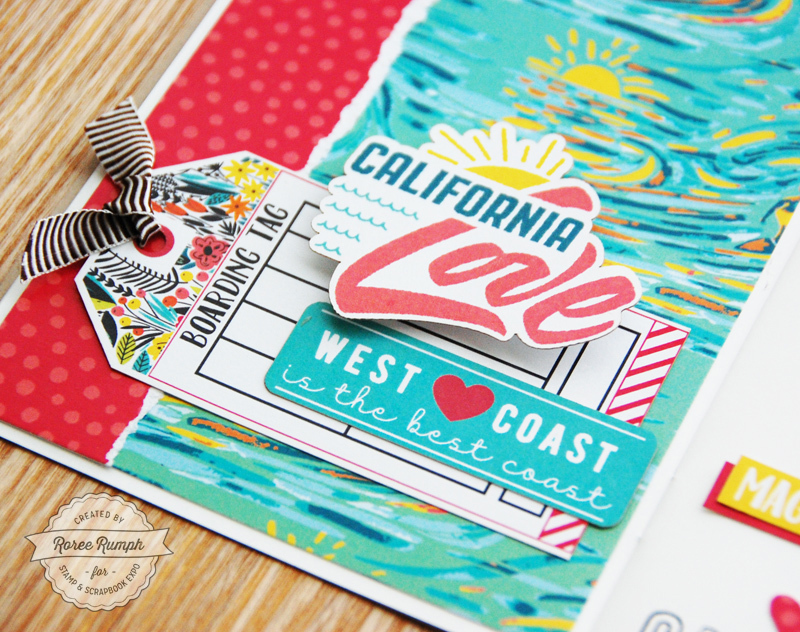 I clustered a tag and sentiment die cuts at the bottom of the page to show a little “California Love”. 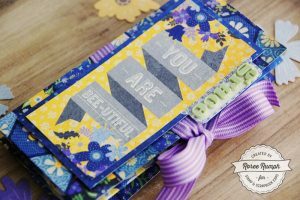 On the right side, I created my on own patterned paper by randomly stamping three images from the 4×6 stamp set using black ink. 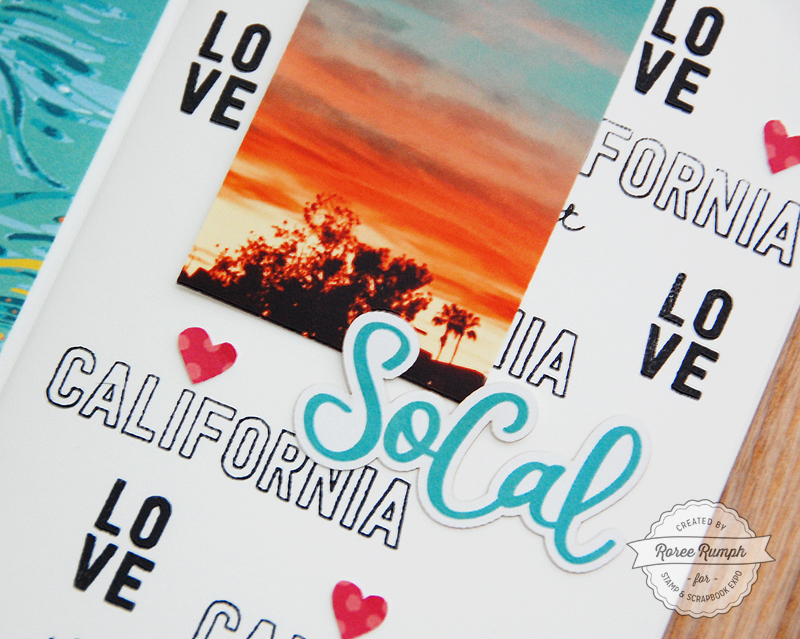 I then added a photo of a gorgeous California sunset I took one evening before the show and finished it by adding a few sentiment die cuts and some hand-cut hearts. I had so much fun creating with this kit. I can’t wait to play more with all of the goodies that are left over! If you didn’t get a chance to attend the event in Ontario, don’t stress. There are several events planned for next year, hopefully in a city near you. The new schedule will be updated before you know it, so keep a watch for that on the Wandering Planners blog. If you can’t wait until then however, check out the Shop for some awesome planner goodies to tide you over until next year’s show season. I hope you enjoyed today’s Inspiration Station project. Thanks so much for stopping by! 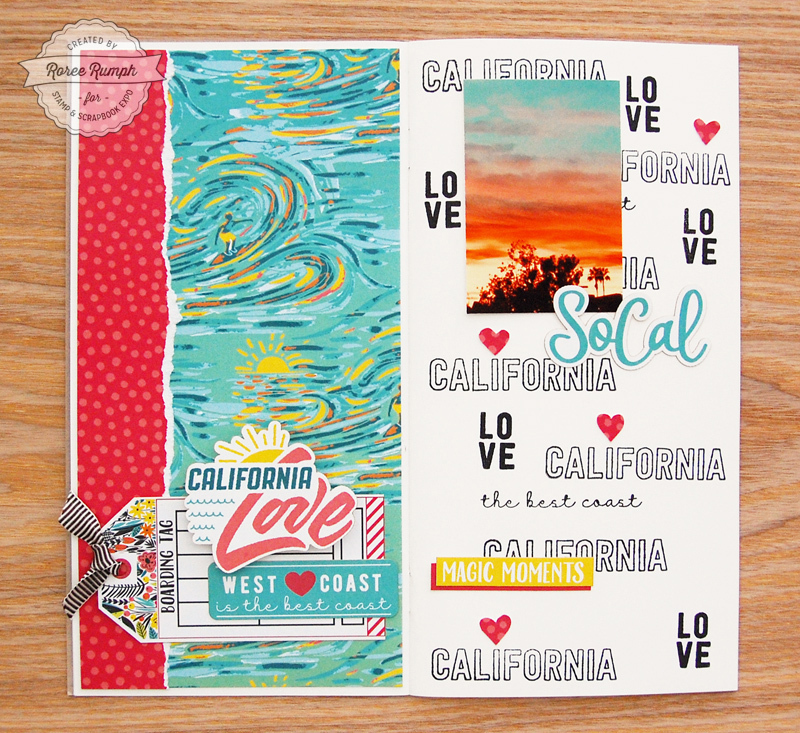 This entry was posted in General Crafts, Inspiration Station, Manufacturers, New Releases, Paper Crafts, Planner, Stamp & Scrapbook Expo, Stamping, The Wandering Planners, Traveler's Notebook, Wandering Planners and tagged California Love 4x6 Stamp Set, California Love Ephemera, California Traveler's Notebook Paper Pack, Roree Rumph, Stamp & Scrapbook Expo, Stamping, The Wandering Planners, TN layout, Traveler's Notebook. The pages are so cute! They made me homesick for California. Mary Beth- omg – me too. Florida home now. Would love to have a set for Florida! Great pages and a great group of supplies to play with. Yeah CA!